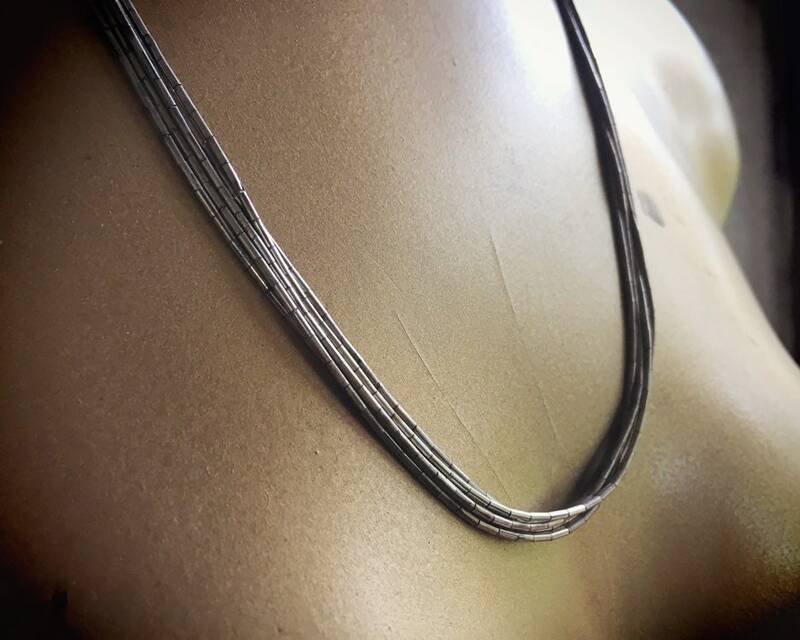 These are two separate five-strand "liquid silver" necklaces that came from the same estate and were, I understand, worn together. In fact, they were purchased to wear together, one being slightly shorter than the other and therefore nesting beautifully together. And they are stunning on, and so I decided not to break them up but rather to sell as a set. 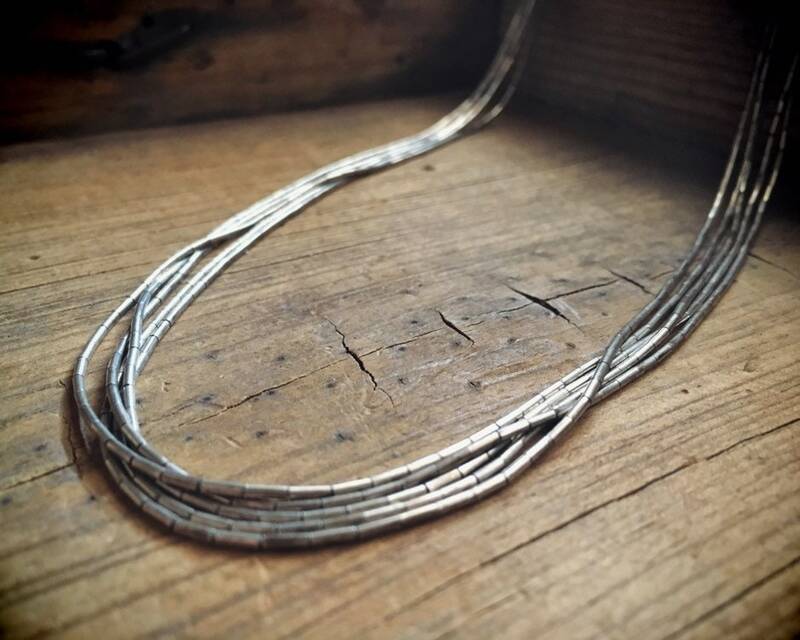 "Liquid silver" is the term used to describe silver heishi beads, the small tubular beads that when strung together seem to form a flow of silver. 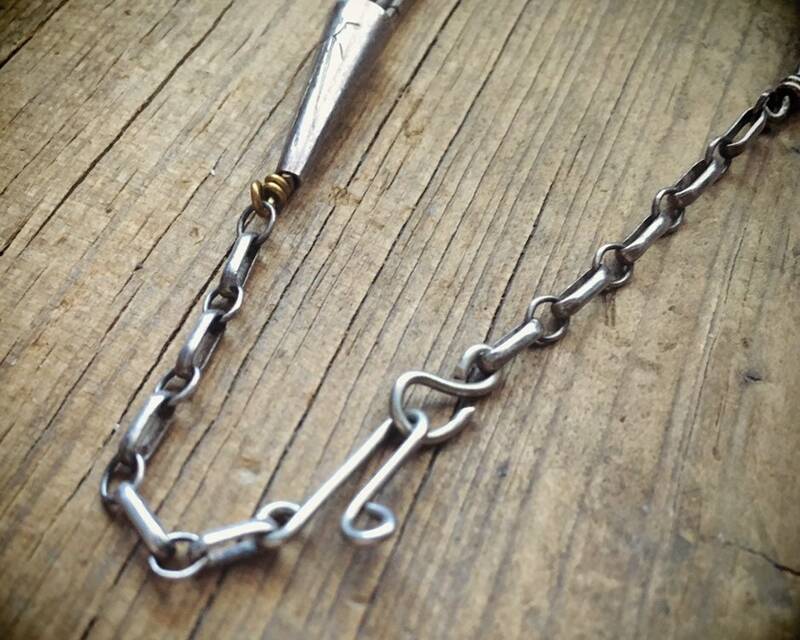 Liquid silver is elegant yet understated. It can dress up jeans or bring a boho look to a black dress. 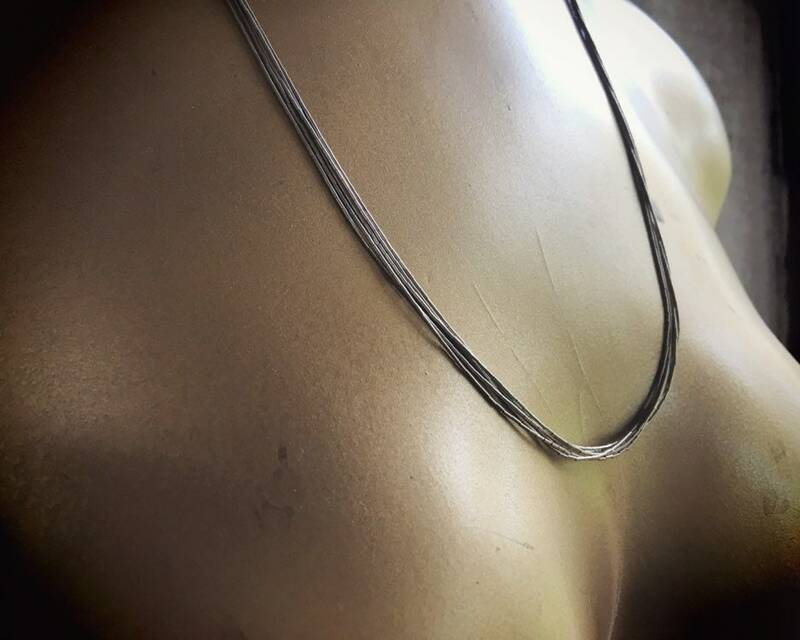 One of the necklaces is made with slightly thinner (finer) silver beads, so do expect some difference in each necklace. But again, that adds dimension and texture to the two together. 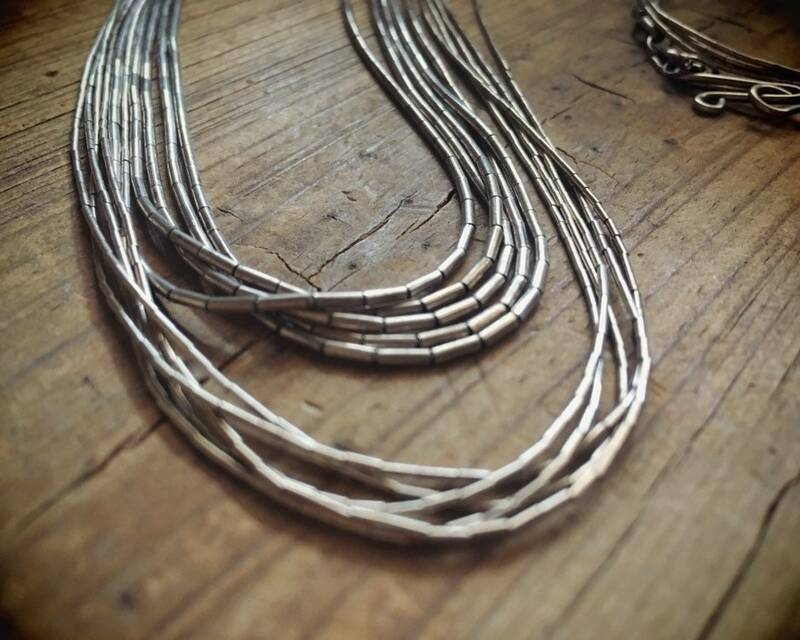 One of the necklaces is 24" long and the other is 24-1/2". 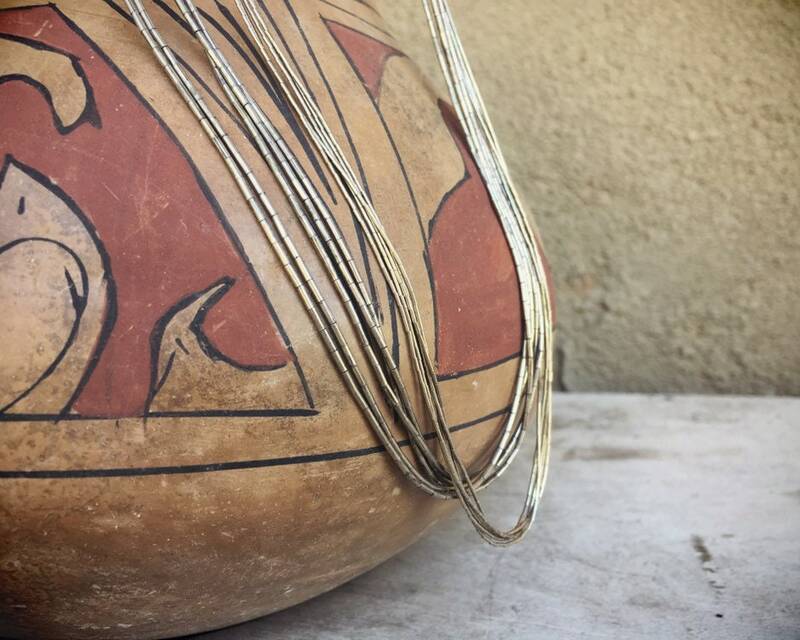 The silver heishi beads are very fine and intertwined. 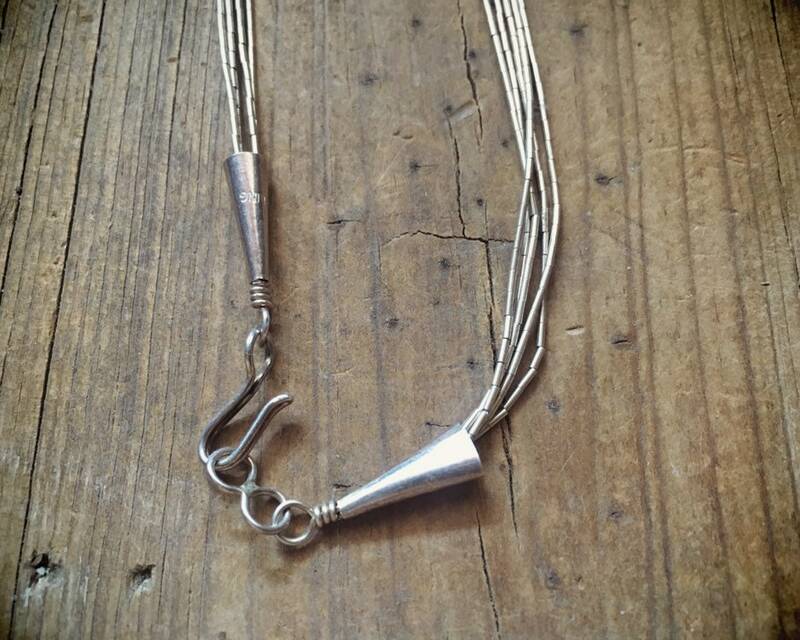 The cone findings on one of the necklaces has STERLING stamps; the other has the stamps from a local Albuquerque jewelry shop. Both in good condition.